This section includes descriptions and pictures of the different side projects which Magne has been involved in besides his collaboration with Kjetil Bjerkestrand. Although not a side project, also included is a rare 7" by Magne's father Kåre Furuholmen in this section. The Norwegian band "Det Gode Selskab" released their album of the same title in Norway. It features Magne on the song "Grå". The cover shows a section of rough blue water with the title in white letters at the bottom. 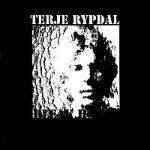 This album released by bass player Jørun Bøgeberg doesn't actually feature any music by Magne Furuholmen but it is Magne who has made the woodcut from which the album cover has been printed. This CD was also released as a special limited edition of 200 copies which came in a fold-out box (6"x15�") covered in black material. The front is covered by part of one of Magne's paintings printed on canvas, titled "Kutts" (large version of normal cover). It contains an exclusive large 21 page booklet with photos of J�run and song lyrics. 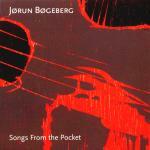 The CD is black with the silver text which reads "J�run B�geberg Songs From The Pocket n�b IDCD 591 p & � 1996 Norsk Plateproduksjon". This edition is personally autographed in pencil by Magne Furuholmen, photographer Alf B�rjesson and of course J�run B�geberg inside the case. The design is by Millimeterpress. On 3 November 2003, Jan Werner Danielsen released the album "Singer of Songs" in Norway. This album includes the song "I Smile When I'm Dreaming" (track 6), an English version of "Ein Strek, Nokon Fargar", the melody for which was written by Magne and Kjetil (Timbersound). Jan Werner Danielsen wrote the lyrics. The cover features a shot of the artist holding his hands together in prayer. "Jan Werner" is printed in large letters across the middle. In January 2005, Magne and others recorded the song "Indian Ocean" with Yusuf Islam/Cat Stevens. Initially, it was only released as a download on 22 March 2005. On 15 November 2005, it was released in the US on a 32-track remastered 2CD best of compilation "Gold". "Indian Ocean" is the final track on disc 2. The cover of this jazz album features the silhouette of a man high up in the sky above the water with skyline in the distance. The bottom section of the sleeve is yellow / black with the artists name printed in yellow and the album title "er" printed in white inside the outline of a box. Magne plays piano on track 4 "Only These Things Count". This album also includes contributions by Jan Bang! Keyboard on "Tous nous appartient" and "Sur ta banquise"; Keyboard and piano on "Le silence" and "J'aimerais dormir" and piano on "Les cris"
Magne is featured on the soundtrack album of the Japanese movie "Yoru no Shanghai". Track 6, "Bass Theme" is by Martin Terefe, Guy Berryman and Magne Furuholmen. Magne is also credited on track 7, "Guy Romance Theme". The cover features a shot taken from the film(?) plus a large pink title box across the centre. 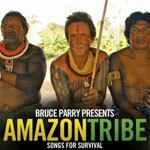 Bruce Parry (star of the BBC series "Tribe" and "Amazon") worked with produced Martin Terefe on a fundraising album for Survival International, the human rights organisation for tribal peoples. The album features music by KT Tunstall, will.i.am (Black Eyed Peas), Johnny Borrell (Razorlight), Mystery Jets, Jason Mraz, Yusuf Islam, Hot Chip, the Go! Team and Mike Oldfield. In addition, Guy Berryman (Coldplay), Jonas Bjerre (MEW), Magne F (a-ha) and Terefe formed a new band "Apparatjik" especially for the album. They recorded a track "Ferreting" ("Amazon" - track 1) for the end credits of "Amazon". The first half og the album "Amazon" (disc 1) features songs inspired by this new series (September 2008), whereas the second half "Tribe" (disc 2) is a collection of dance / experimental songs which use samples of tribal music. The cover of the album features a picture of two tribesmen with Bruce Parry sat in the middle wearing tribal paint. The title is printed in white, yellow and green letters at the bottom. The back sleeve is a green-tone shot of tribesmen on a boat with the tracks listed in white and yellow. The discs are feature closeup shots of tribeswomen. Disc 1 is green toned with titles in white and yellow while disc 2 is yellow-toned with white and green text. 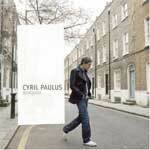 The album was available digitally via iTunes from 15 September and in the UK on CD on 13 October. 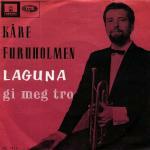 This 7" was released by Magne's father Kåre and includes 2 songs played on trumpet with an orchestra. Side A features "Laguna" (2:45) composed by James Last and side B features "Gi Meg Tro" (2:17) composed by Ralf Arnie. The cover is red with a black and white shot of Kåre holding a trumpet. "Kåre Furuholmen" is printed in black on the left hand side with the tracks listed in white underneath.